Why Don’t People Visit an Affordable Dentist? 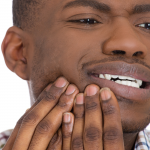 Why do so many Americans forego dental care? Furthermore, why do so many Americans who have dental insurance still wait until it’s an emergency to see the dentist? The answers may surprise you! A survey by the Oral Health Institute showed that the number one reason why adults do not visit the dentist is perceived cost. In fact, cost was the top reason regardless of income, age, or source of dental benefits among 59% of respondents. This might be because the perceived costs, dental care is not prioritized, or because of financial concerns, even with insurance. 22% of respondents in the survey say that the reason they don’t go to the dentist is fear. 19% say that they unable to find a conveniently located dentist. Unfortunately, these factors may lead to an unplanned emergency room visit. From 1997 to 2007, there was a 4% annual increase in emergency room visits because of non-emergency dental conditions. That accounts for thousands of people unnecessarily using the ER for dental services. A later study found that there had been 1.1 million visits to the emergency room for dentistry in 2000. In 2010, dental emergency room visits nearly doubled to 2.11 million, and in 2012 that number increased again to 2.18 million. An ADA study shows that patients receiving care in the ER would be better served in a dental office or clinic. By going through the appropriate channels, this would actually reduce costs. 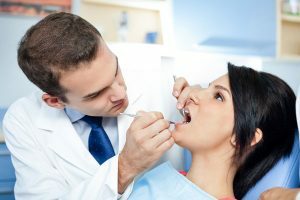 It may be that patients with dental insurance are mistaken that an ER visit is less expensive than visiting a regular dentist, but that couldn’t be further from the truth! Also, while emergency rooms can provide relief from dental caries (which accounts for 41.8% of dental-related ER visits), few hospitals have dental professionals who can provide comprehensive dental care. Most of the time, hospital staff can only provide patients with prescriptions for pain or antibiotics to treat infection but this does not resolve the long-term underlying dental problems causing the condition. What options are available in affordable, comprehensive dental care? Affordable Dentist Options: They Exist! 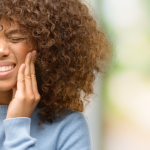 Whether you’re uninsured or have limited dental insurance coverage, one of these affordable dental care options might be just what you need. 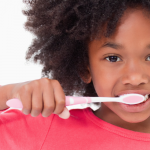 Non-Profit Organizations – This list of non-profit organizations provide dental treatment to those who cannot afford dental insurance or to those with limited coverage. 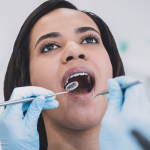 Depending on where you live, you may be able to access dental care through these organizations, which are grouped according to the demographic they serve. Online Coupon Sites – Many dental clinics offer downloadable dental coupons to help you save on your first visit or overall treatment (see our $25 off your first visit coupon). Some dental deals offer a cleaning, digital x-rays, and an examination by the dentist. Discount Dental Plans – A discount dental plan is a membership club in which you pay a monthly fee in return for access to a network of local dentists who give 10-60% rate reductions for certain services. Unlike dental insurance, which may not cover a pre-existing condition, you can shop for a discount dental plan with a specific operation in mind and select the plan with the cheapest price. Dental Schools – People looking for an affordable dentist should not neglect to check to see if there is a local dental school in the area. At Penn Dental Medicine, you’ll receive excellent care from dental students in the final stage of their training. Our student doctors are mentored and supervised by expert University of Pennsylvania School of Dental Medicine professors. Come to Penn Dental Medicine to get the quality dental care you deserve, while participating in our educational mission. If you’re looking for affordable care, whether because your insurance doesn’t cover everything you need or financial difficulties, consider Penn Dental Medicine for your care. We offer dental services at a rate that is much more affordable than what you’d find at the average dentist office. We also work with patients to create payment plans to help reduce the financial weight. With University of Pennsylvania School of Dental Medicine dentists, you are guaranteed quality care, every time. Patients are sometimes surprised to learn that our student doctors are overseen by expert faculty throughout treatment. This system ensures that students continue to receive mentoring from the best in the field, while patients can rest assured that all care is delivered at the University of Pennsylvania level of excellence. Whether you need root canal therapy, routine dental services, pediatric dentistry for your children, or restorative dentistry, we offer comprehensive care all under one roof. Make an appointment with us today by calling 215-898-8965!